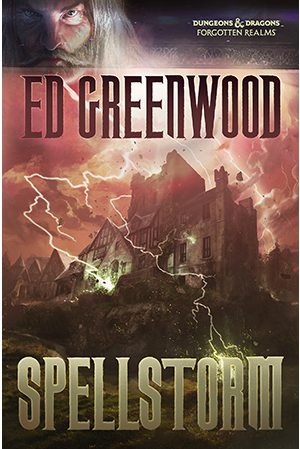 Spellstorm is an Ed Greenwood novel where the creator of the Forgotten Realms himself gets to enjoy sitting down with some of his most beloved characters and craft tales from his own, older, lore. The main character is Elminster, of course, but Greenwood brings out several archmages and locks them up in an old mansion, where they conspire and act out a story that almost reminds me of Agatha Christie's “And then there were none”. As such, the new installment in the Elminster saga differs quite a lot from the previous adventures and is a welcome addition to the Realms library. I was quite late to Greenwood's literature, apart from RPG components, as the first novel I read by him was The Herald, the finishing part of the Sundering series. In that book, Greenwood describes the huge changes to the way magic works and feels in the now healed world. The magical confusion continues in Spellstorm, when the owner of the previous mentioned mansion claims that he has found the Lost Spell (I gather that this is a piece of old Realms lore), but that a magical Spellstorm has appeared, surrounding said estate. The storm threatens to rinse the mind of any wizard who enters it, but, of course, the cunning archmages find ways to get inside, only to be greeted by Elminster himself. The grand old wizard of the Forgotten Realms acts as a butler and adviser to the mansion lord and, since magic behaves wildly inside the Spellstorm, the archmages will have to convince the lord and Elminster who should have the rights to the Lost Spell. At least until they start murdering each other and the high fantasy novel turns into a mystery novel. Elminster's old retinue turns up, of course, and helps him on his new quest to find the murderer inside the mansion. I enjoyed that the book was packed with realms lore, both hidden and hinted at, as well as explained to the reader. Knowledge of the Realms is not a prerequisite to enjoy this mystery, but may aid readers who are more into the characters and wants to figure out the unfolding drama for themselves. Spellstorm is a unique Dungeons and Dragons book and I haven't read anything quite like it. I highly recommend it. 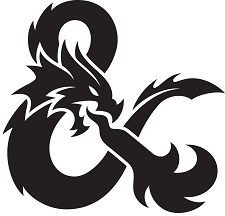 Ed Greenwood fills each page with his own language that is at once instantly recognizable as well as rich, with many of his own invented words, making characters believable and alive.